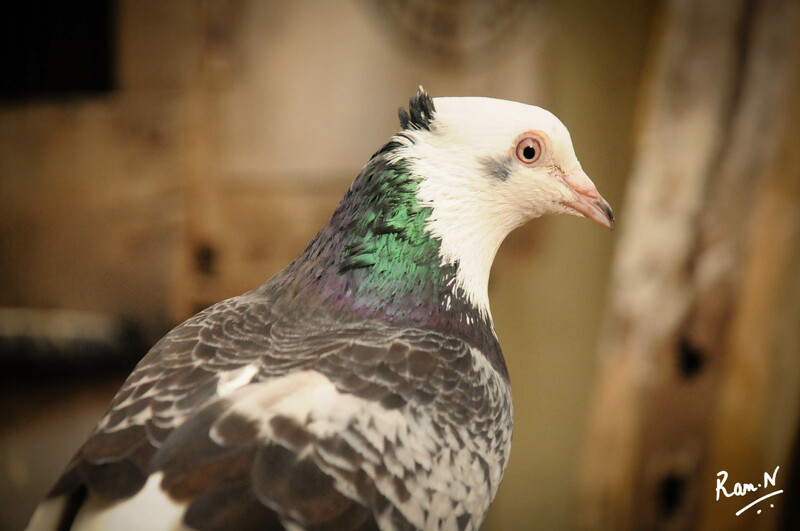 Its not a Crested nor a Old German Owl Pigeon, but the regular Rock pigeon (Columba Livia) with a tuft. Used for Homing / Racing. Spotted at the lanes of Ghulam Abbas Ali Khan Street (GAA Street), off Anna Salai.